Description: Download Bulk SMS Software for GSM Mobile Phones to send bulk text SMS. Software helps you to compose and send messages or alerts from PC using GSM technology based mobile phone. Forward SMS from your PC with the use of GSM phones. Supports major GSM technology cell phones manufacturers including Nokia, Sony Ericsson, Samsung, Motorola, Panasonic etc. No internet connection required to send sms. Easy and simple sms sending procedure. No monthly fees, license renewal, or any hidden cost. 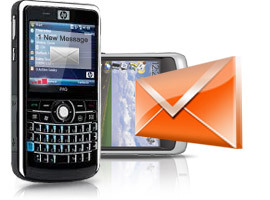 Click here to know Bulk SMS Software for GSM Mobile Phones working. Click here to place order for Bulk SMS Software for GSM Mobile Phones . Click here to read more about Bulk SMS Software for GSM Mobile Phones.